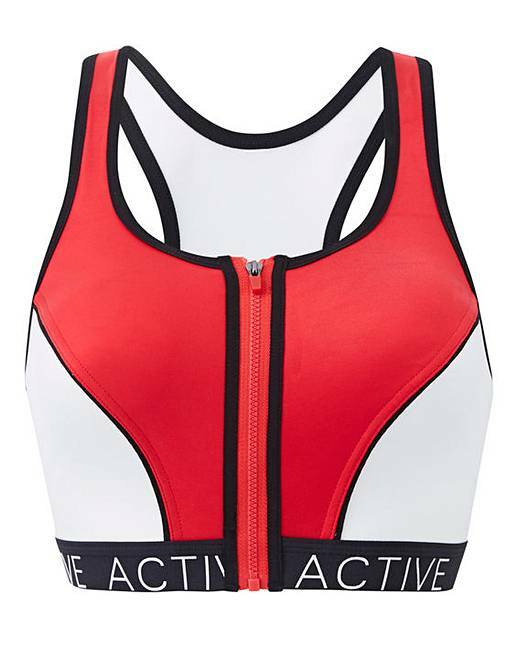 This zip-front sports bra from Pretty Secrets is perfect for high-impact sports. Non-wired and made using a stretchy fabric, this bra is both comfortable and stylish. The thick, racer-style straps at the back provide optimum support, meanwhile the zip-up front and 'active' band beneath the bust contribute to the overall look of the bra. Complete the look with the ankle-length firm control leggings.